Trying to find the perfect candidate for an open role within your organization is no easy feat. In fact, a recent study from Glassdoor found that the average interview process in the United States now drags on for 22.9 days. Compare this to the 12.6 days it took in 2010 and it’s clear the “time to fill” metric that’s so important to hiring managers is headed in the wrong direction. While you want to feel confident in your hiring choice, a process that feels endless causes a strain on those doing the hiring and those seeking the career opportunity. When you couple this with the fact that just trying to get candidates in for an interview can be a frustrating and time-consuming process, it’s no wonder that hiring managers and recruiters alike often want to rip their hair out by the time they’ve successfully come to a decision about who to hire. You finally manage to schedule an interview, but the candidate doesn’t show or they cancel 15 minutes before you’re due to meet. Not only is this rude, but it disrupts the whole flow of your day. It also prevents you from attending to other essential tasks. There are a number of reasons for a candidate’s delayed response, but regardless of the reason, this shows they’re not heavily invested in the position. Perhaps they’re interviewing at a number of other places, maybe they have personal issues to attend to, or maybe they’re just hoping to land another job offer to use as leverage when they negotiate for a raise. If you’re constantly waiting for a reply from this individual, it may be best to move on to another applicant. If a #candidate takes days to respond, you may want to move onto the next #interview. While this may be more challenging if the professional is currently working at another office, some degree of flexibility is required if the person is serious about obtaining another career opportunity. When the individual avoids interacting with you during business hours, they may not be committed to moving on from their current position. First, they tell you they’re available to start working right away. Then, they tell you they’ll have to give a month’s notice to their current employer. If the details of the situation keeps changing, the person probably isn’t committed to working for you. Unexpected things happen. Kids get sick and tires go flat, but if a candidate continuously finds reasons why they can’t show up for their interview, you should question their level of commitment, as far as the position is involved. You’re caught in an endless email chain with a candidate, trying to pick an interview time that works for both of you. It can take 24 hours to hear back from a candidate, only find out that the date and time doesn’t work. Rather than deal with this frustration for weeks on end, use interview scheduling software that takes the tedious legwork out of the interview process. These tools make it much easier to nail down a date and time. Now, all you have to worry about is showing up fully prepared for the discussion. No more spending half of your day sending and replying to emails with date suggestions that just don’t work for the candidate. Pre-screening solutions, such as video interviewing, give you a better sense of who the candidate is before you begin moving through the important, but time-consuming process of scheduling an in-person interview. One-way video interviewing software, for example, lets the candidate respond to the initial interview questions on their own time. Best of all, you can watch their replies when it’s convenient for you. From there, you can opt to have an in-person conversation. If not, you haven’t blocked out an hour to talk to someone who isn’t a good match. What’s more, you haven’t wasted days going back and forth just to interview someone who would never have met your requirements anyway. Additionally, the issue may be that you’re too rigid about the requirements for a potential new hire. While education and experience are important, you can ultimately train an employee so they have the proper skills to complete the job. However, you can’t teach someone to have an enthusiastic personality or the ability to cooperate with other team members. 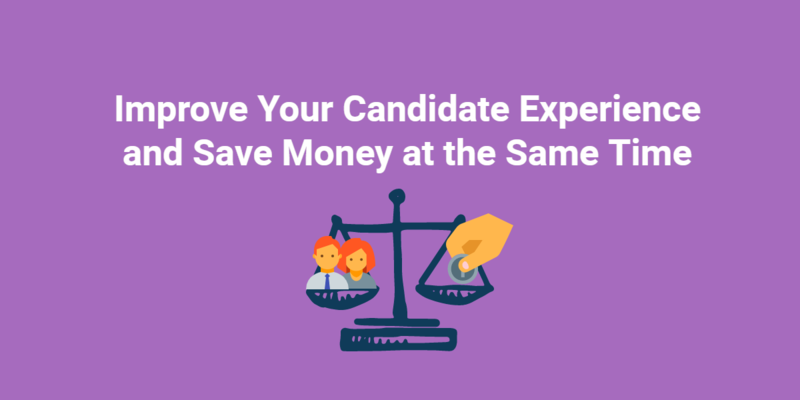 Consider the whole picture when you’re weighing a candidate’s eligibility for the role. When you’re cramming 10 interviews into a single day, the candidates begin to blur together. This makes it challenging to make an informed hiring decision. You can hardly remember if John Smith was the one with the master’s and trophy case of awards to his name or the one who showed up late and with a wrinkled shirt. So, how are you expected to remember if you felt he was the right person for the job? You might also feel rushed and be unable to get all of the information you need to make a choice that will benefit the business in the long-run. To prevent this from happening, block out enough time in your day to finish the interviews that must get done that day. Also, make it a point not to overbook yourself. It’s important to make sure the interview process doesn’t draw on for months for both the candidate’s sake and your own, but it also doesn’t need to be taken care of in a 24-hour span. Scheduling #interviews is overwhelming. Try not to overbook yourself. Regardless of how much you love your job, you only have the mental capacity to retain a certain amount of information at once. There needs to be some strategy involved with the interview scheduling process in order to ensure each candidate is given a fair chance and receives the attention they deserve. Otherwise, everyone involved with the interview will feel aggravated. It would be great if you could cover all of the interview essentials in 30 minutes, wrap it up, and move on to the next candidate right on time. Unfortunately, this is not always the case. 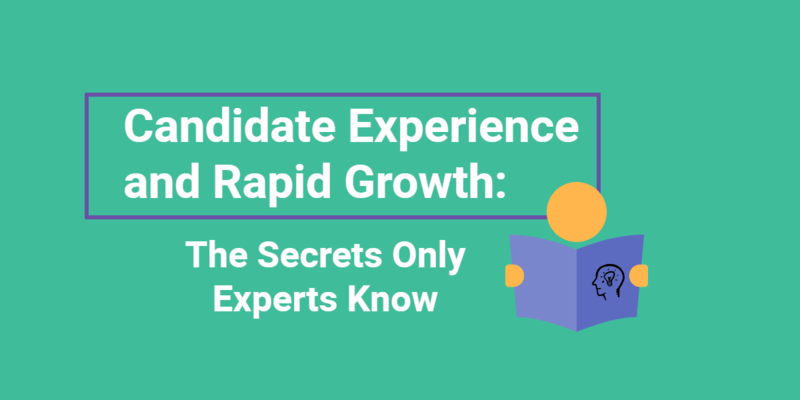 Candidates show up late, meetings run over, causing you to be late to the interview, unexpected questions during the conversation come up, and candidates ramble. When you don’t block out enough time for an interview, you cause the rest of your day (and your other interviews you’ve scheduled) to get thrown off course. This may result in you having to reschedule, or it may make you feel rushed and, therefore, unable to give the next candidate the amount of time and attention they truly deserve. Build in extra time for conversations that go longer than anticipated or other unexpected delays to avoid causing scheduling headaches that cause a ripple effect of disruptions throughout the rest of the day. While automated schedulers are highly useful in getting interviews set up quickly, if you’re not careful, they can cause your process to take on a cold and impersonal nature. To prevent this, seek out software that allows you to customize your messaging carefully so that the contents remain on-brand — even if you’re not personally typing every word by hand. If you do need to rely on a few impersonal messages during the initial phases of the process, don’t forget to interject a customized message every now and then to make the candidate feel welcome. Even one or two lines that you took the time to write can help show the individual that you do care and are invested. Rather than trying to coordinate six different schedules from the get go, start by using video interviewing software for the first interview. From there, narrow the pool down and use a panel-style interview for the later round interviews. The one negative about panel interviews: if you fail to agree on a rubric in advance, it can be tough to come to a consensus about the ideal choice for the job. Before you begin meeting with candidates, take the time to discuss what it is that you’re looking for. What matters the most for this role. Is it education level? Experience? Community connections? Some combination of the above? You should also be sure to ask the same questions of each candidate so you’re able to assess everyone fairly. There are a number of other issues that can cause frustration when it’s time to get an interview scheduled. For example, say you’ve found a candidate who you think will be a wonderful fit, except she’s currently living in Japan and you’re in New York City. Because of this, trying to set up an interview time that works for both of you seems nearly impossible. You’re not usually emailing one another at the same time, so even setting up the initial interview can take awhile. And finding a time to get you both on Skype seems tricky, too. This is where tools like scheduling software and video interviewing come in handy. Hiring managers often find it frustrating to work with individuals who are currently employed, as they can’t always reply during business hours and may need to come in for an interview at off times. Rather than ruling this individual out because they’re making the process more difficult, be flexible — particularly if the professional seems like they’d be a good fit for the role. Bear in mind they (hopefully) won’t always be this difficult to work with, so tolerate the temporary inconvenience in hopes of finding a good fit for your position. While getting interviews scheduled can be a tedious process, technology can help move things along more smoothly and take some of the stress off of hiring managers and recruiters. This is especially useful if you plan to work with candidates who are currently in other time zones or if you rely on panel-style interviews to make your choices. What do you find most annoying about scheduling interviews? How do you solve these issues? To solve your interview scheduling challenges, take a look at Spark Hire’s interview scheduling software.